Liqueur made from the blend of Giffard Curaçao Triple sec and natural juice 100% Mexican origin. 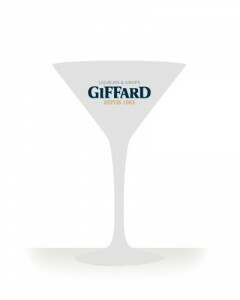 Co-created by Bruno Giffard, Simon Difford (Diffordsguide) and Nick Gillet (Mangrove). Agave Sec is the first Triple Sec Liqueur sweetened with Mexican Agave syrup. 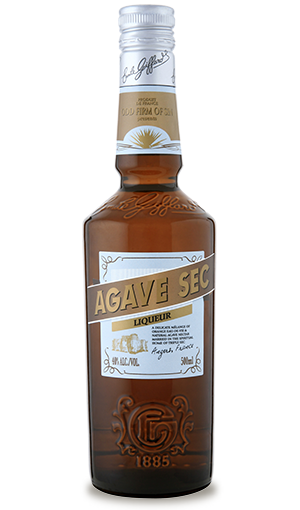 Agave sec retains the classic taste of Triple sec but with the addition of the sweet, earthy flavor of Agave. Agave syrup is a much healthier alternative to cane sugar and you need so far less to achieve the same level of sweetness. A zesty orange nose with hints of both mandarin and honey notes. On the palate, this very dry liqueur has a wonderfully silky mouth feel with bursts of both cooked orange and also fresh orange skin. The warm orangey finish is dominated by honey and spices cloves. Ideal for Tequila based cocktails such as Margarita which then becomes the “Dry Agave Margarita“.